For close to 50 years, Blue Moutain Arts has helped individuals communicate words of love, friendship, and family with the most important people in their lives. Consumers seek us out and appreciate our distinctive emotive verse and unique graphic design. 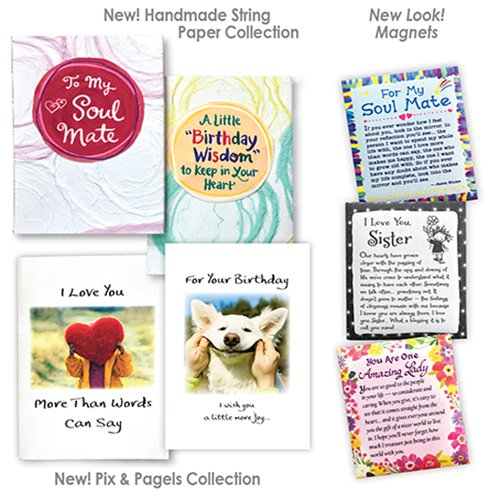 Not only does our product provide heartfelt messages but it also offers outstanding sales performance and ROI in the card, gift, book, and calendar categories. We pride ourself in renowned customer service and dedicated sales representation. Stop by our booth for show specials and information on our Premier Customer Program. 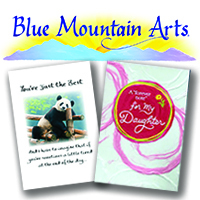 Free Freight and Free Display with Fill on all Blue Mountain Arts Floor Displays!